Jack Newell is Professor Emeritus at the University of Utah and President Emeritus of Deep Springs College in California, where he served from 1995 to 2004. He continues to write and teach social ethics and educational leadership philosophy at the University of Utah, and American history in the Venture Program for adults seeking a second chance at the Horizonte Center in Salt Lake City. He also serves on the boards for the Utah Humanities Council, the Tanner Lectures on Human Values, the McMurrin Lectures, and the Virgin River Land Preservation Association. Born in Dayton, Ohio, Newell pursued his undergraduate degree at Deep Springs College in California and Ohio State University, earned his M.A. at Duke University in American and European history, and his Ph.D. at Ohio State in the history and philosophy of European and American universities. He taught at Clemson University, Deep Springs College, and the University of New Hampshire before moving to the University of Utah. He has held visiting professorships in England, Canada, and New Zealand. From 1974 to 1990, Newell served as dean and principal architect of the unusual university-wide liberal arts and sciences program at the University of Utah. This Liberal Education Program won national acclaim for its interdisciplinary undergraduate curriculum, strong faculty governance structure, imaginative teaching development incentives, and comprehensive course evaluation techniques. Under his leadership, the University launched and two distinguished professorships, the McMurrin Professorship for visiting scholars and the University Professorship for U. of Utah faculty. Newell has published over 125 articles and essays, and written or edited nine books and monographs, including Matters of Conscience: Conversations with Sterling McMurrin on Philosophy, Education, and Religion (1996), a biographical study of the philosopher and social critic who served as United States Commissioner of Education in the administration of President John F. Kennedy. 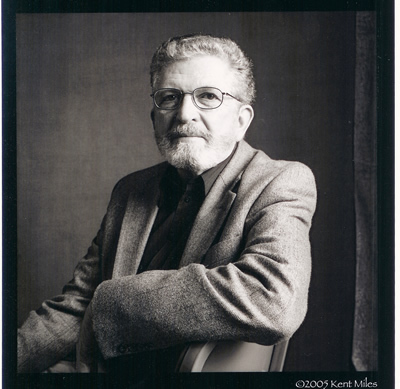 Among his other authored or edited works are Creating Distinctiveness: Lessons from Uncommon Colleges and Universities (1994), A History of Thought and Practice in Educational Administration (1987), and The Students of Deep Springs College with Michael Smith and William T. Vollmann (2000). Newell served as editor of The Review of Higher Education from 1986 to 1991, and as co-editor of the scholarly journal Dialogue: A Journal of Mormon Thought from 1982 to 1987. His history of Deep Springs College is currently under contract with the University of Utah Press. Jack Newell was a founding trustee of the Bennion Center for Community Service at the University of Utah, and has served in a variety of other voluntary organizations. He has also been called upon to advise academic leaders at over 50 universities throughout the United States, and in Canada, China, Great Britain, Hungary, New Zealand, and The Bahamas. His honors include the Deep Springs Medal (ninth recipient) for exemplary service to humanity (2009), the Joseph Katz Award for the Advancement of Liberal Learning (a national award, 1994), and appointment as the State of Utah’s Carnegie-CASE Professor of the Year (1991). He is also a former Presidential Teaching Scholar and holder of both the Hatch Prize for Teaching and the Distinguished Honors Professor Award at the University of Utah. At Deep Springs College Newell spearheaded a renaissance that renewed the college’s educational vision, financial base, and physical plant. Founded in 1917, the college is an indirect legacy of American philosopher John Dewey. Its educational program is based on a demanding liberal arts curriculum, a student labor program anchored on sustainable agricultural and community practices, and student participation in every element of college governance. Located on a working ranch in a high desert valley east of the Sierra Nevada Range, this liberal arts college is one of the most innovative and competitive institutions of higher learning in the nation. Under Jack’s leadership, Deep Springs students won one Rhodes Scholarship (2004) and seven Harry S Truman Scholarships, only 75 of which are awarded nationally to the most promising public servants among American undergraduates. On the personal side, Jack and his wife Linda King Newell have four children and eight grandchildren. He worked for the United States Forest Service or the National Park Service for five summers as a forest fire crew foreman and mule packer. His persistent personal interests include writing, hiking, mountaineering, and photography. He has traveled and photographed on the Antarctic Peninsula (2000), in the Alaskan bush (1997), in the Galapagos Islands (1990) and in China before modernization (1979).